I just rearranged all of the books on the shelves. It was the most interesting thing to do on a snowy day. Much better than going outside to shovel snow. A picture is worth a thousand words. There are more than a thousand on these shelves. 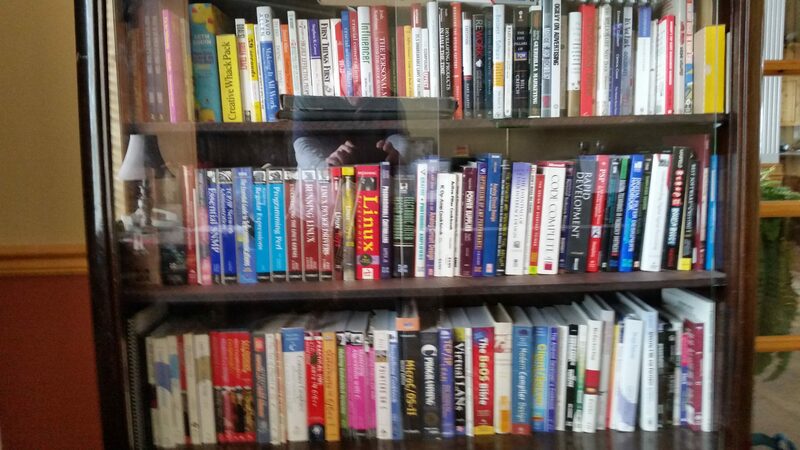 My full tech book bookshelf. Yes, those are slide rules on the top shelf. That is a lot of books, not to mention the boxes of old college books in the basement. Why is it so hard to throw out an old book? 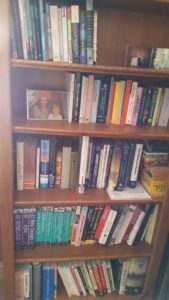 What is on your book shelf? ← Do your own projects on the side?